It is essential to our very survival that we learn to interpenetrate, intercommune, and experience interconnectivity within the primordial subatomic universal cosmic-energy matrix ~ the oceanic superconscious intercollective nervous system ~ the foundational substrata of existence. We are on an epic spiritual journey beyond the boundaries of three-dimensional time and space ~ beyond the affectations of our perceptual programming ~ beyond the limited human mind. We must transcend the electronic hallucination of western society ~ unravel, decipher and comprehend the profound mysteries of existence ~ the supernatural hyperdimensional phenomena we are confronted with as we traverse the physical plane. We must penetrate beyond the thin film of language ~ the sophistical dialectics of the societally programmed ego-mind ~ and enter the alternative, ultra-advanced, trans-dimensional, spiritual hyper-reality that is orthogonal to the concerns of our entire pathological history. ​Mind has always been the causative agency that has kept us distracted, obfuscated, disengaged from direct experiences of the sacred, the mystical, the profound ~ the spiritual, the esoterical, the Ultimate Truth. The lens of mind reduces, filters out ~ alienates us from all hyperdimensional realities ~ anything ethereal, supralogical, or transcendental ~ supernatural forces, ultradimensional beings, and UFO hyperspace phenomena ~ universal cosmic-consciousness and higher planes of existence. Mind is a reducing valve, a filter, a set of distorting lenses that perpetually projects incomplete one-dimensional misrepresentations of existence, by it's very nature... It is the world in which we live ~ a plane of existence that has been diminished to a vague approximation ~ a misconceived anamorphic caricature of itself... Mind takes the experience of Ultimate Reality and narrows it, diminishes it, reconfigures it into a spiritually dry, purely intellectual abstraction. It is what the spiritually unawakened, the unindoctrinated, and the misguided normally perceive and experience throughout the entirety of their physical sojourn. If we hope to ever perceive, experience, and interconnect with the extramundane full-spectrum multidimensional spiritual reality that is missing from our lives ~ to be accepted, integrated, syncretized into living superconscious hyperdimensional fields of translucent interconnectivity ~ we must awaken to a broad spectrum of profound esoteric knowledge, mystical insights, and existential spiritual truth ~ deeper levels of awareness, hyperintuition, and understanding... we must open and avail ourselves to intimate spiritual communion, telegnostic interplay, hyperdynamic cosmic energies within the transcendental, supernatural, entheological, extraterrestrial experience... If our avowed mystical agenda is to make ourselves acceptable to be teleported into higher celestial planes of existence, we must be willing to endure clarifying fires of transformation ~ radical life-changing paradigm-shifts ~ the expansion and evolution of our consciousness. During our physical sojourn we have only a small window of opportunity to penetrate and explore the unknown depths of our being ~ to discover and experience what is truly sacred, enlightening, and transformative in life ~ to open doors of perception into higher spheres of understanding. During our brief encounter with the physical plane, ancient interdimensional supernatural deiforms afford us rare opportunities: to attain lucidity, concinnity, divine-unity ~ harmonic alignment and symmetry with the hyperdimensional spiritual intercollective ~ with the faster moving frequencies and vibrational resonance within the universal superconscious intergalactic community; to realize greater truths, full-spectrum existence, and the higher universal cosmic-self. If we are to survive beyond the corporeal experience we must experiment with ego dissolving, holotropic spiritual technologies ~ powerful agents of change that alter perception, expand consciousness, and trigger the quantum-leap from mind into the higher levels of transcendental hyperawareness ~ that transport us into alternative spiritual hyperspace paradigms ~ into equivalent states of harmonically synchronous altered realities that allow us to interrelate with extraterrestrial hyperintelligence in a deeply insightful, meaningful, and worthwhile way. Introduction to adventuristic explorations, immersive experiences, close encounters, intimate spiritual communion and interrelations with divine supernatural hyperspace entities (we've come to know them simply as the "elders"). Don't delay: breach the walls of your western culture hyperconsumeristic perceptual programming ~ embark on a radically transformative, spiritually illuminative, paradigm-shifting mystical odyssey with interdimensional beings of epic proportions today... it is the only way anyone ever gets out alive... Indoctrinating genuinely passionate existential/spiritual seekers with this transformative esoteric mystical knowledge is our only business. Mission of the Spiritual Awareness Project: To take existential/spiritual explorers beyond the boundaries of mind, three-dimensional space, and ego. Interconnect them ~ fully immerse them in the hyperdimensional / extraterrestrial / supernatural / UFO experience ~ providing them with training, guidance, and information if requested. Many people who are standing on the threshold ~ who are only one step away from entering the spiritual life ~ from realizing the higher universal Self ~ from becoming an explorer ~ a seeker of existential/spiritual truth and Ultimate Reality... who would spend their life passionately unraveling the mysteries of the universe, of God ~ only require a minor push ~ the slightest bit of assistance ~ only need to come across the true mystic, who can connect him to the Other Side ~ to higher spiritual realities and luminous deiforms ~ teaching him to witness physical manifestations of supernatural extraterrestrial entities or interdimensional spacecraft operating beyond the known laws of physics ~ performing "impossible" aerial phenomenon directly overhead. (1) Awaken, illuminate, transform, and expand awareness of selected human beings. 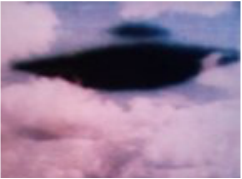 (2) Acquaint, counsel, and advise students regarding undeniable empirical evidence, as well as immediate, first-hand, interactive/experiential, close-encounter interplay with the interdimensional / extraterrestrial / supernatural / hyperspace phenomenon. 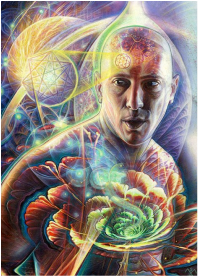 We provide information and expositive evidence to genuine seekers of existential truth, who are determined to see, experience, and interface with full-spectrum multidimensional reality. To our angelic overlords, we are their eyes, ears, arms, legs, words, etc... whenever a situation, requiring this type of mental / physical agency, leverage, or expediency presents itself... And although the elders are perfectly capable of manifesting into our three-dimensional, high-density, space / time continuum in humanoid form ~ of being physically agile, adroit, proficient, and efficacious ~ of projecting frightening amounts of kinetic energy into the gross physical plane if necessary ~ they prefer their human acolytes to feel as if they have a place, a position within the hyperdimensional spiritual family collective... the initiate should feel he is performing a vital, necessary, and indispensable function within these dynamic interactive spiritual projects.... We are agents, representatives, middlemen, operatives, and bond-servants to preeminent interdimensional luminary hierophants ~ the oracular expositors of Ultimate Truth. The Spiritual Awareness Project has been blessed with special arrangements allowing us to introduce spiritually intuitive, hypersensitive, visionary seekers to transcendent ultradimensional godlike beings of a higher order ~ to the higher celestial planes of existence from which they come... We introduce our apprentices to the supernatural hyperdynamic subatomic reality matrix ~ to the higher universal cosmic Self ~ to a quintessential fundamental understanding of existence ~ to the inspired, theocentric, spiritual Way of Life. Be open to the possibility of higher spiritual dimensions ~ alternative hyper-realities ~ inhabited by supernatural fifth-dimensional beings of light. Possess a genuine interest in exploring, understanding, and experiencing their higher harmonics ~ their sacred cosmic dance ~ their spiritual Way of life. It's imperative that students are spiritually awakened, enlightened, refined, and transformed: either through their own experimentations with ego-dissolving, perception-altering, entheological, psychospiritual technologies or through direct participation with immersive experiences into spiritually/interactive, existential, exploratory projects, such as this one, which is directed and supported by the ancient seraphic godlike mystigogues. And this is all in order that the primordial hyperdimensional superconscious spiritual intercollective may become attracted to you, take an interest in you, and invite you into our spiritual program... and after examining you, exploring you ~ searching your very heart ~ you may be indoctrinated, assimilated, and consubstantiated into the ecstatic living elysium fields of oneness, divine-unity, and interconnectivity ~ into the transcendental subatomic oceanic singularity ~ into the universal, supraliminal, intergalactic, Aquarian paradigm... And if you are one of the fortunate few, who has realized the higher universal spiritual Self, they will be obliged to perceive it beneficial to the Whole that the alternative fifth-dimensional hyperspace reality in which they exist ~ even they themselves shall be revealed to you. There is a wealth of esoteric mystical knowledge and transcendental paraphysical information built into us ~ retained in the genetic material within every one of our cells. Without entheogenic spiritual technologies able to penetrate the metaphysical, philosophical, and intellectual barriers that have always prevented mankind from accessing and exploring these deeply concealed reservoirs, there would be no way to gain insight, awareness, or understanding into whatever deeply mystical, paradoxical phenomenon, enigma, or wonderment may exist ~ there would be no way to discern what level of esoteric spiritual influence, transformational significance, or epiphanic impact such knowledge would actually have on the various aspects of our lives. The sophistical ego-mind has always been the nefarious intermediary agency responsible for obfuscating and sabotaging our fundamental understanding of our souls supernatural mystical divine-union with God ~ hyperdynamic processes of spiritual regeneration, transformation, enlightenment, and rebirth ~ entering into alternative hyperphysical realities and the entheological psychedelic higher Aquarian consciousness paradigm. The ego-mind has always desperately searched for ways to keep rationalizing, justifying, and perpetuating it's own existence, using every device and deception it knows to avoid being unseated, overthrown, displaced from the high throne of man's inner-being. The mind takes the experience of full-spectrum ultimate reality and narrows it, reduces it, rearranges and repackages it into a spiritually dry, purely intellectual conceptualization ~ a one-dimensional mental misrepresentation ~ a vague approximation ~ a false equivalency ~ an over-simplified caricature of itself ~ completely lacking the luminous, supernatural, hyperdynamic, ecstatic qualities of the actual interdimensional / extraterrestrial / transcendental / spiritual experience. Mind has always been the causative operancy that has kept us distracted, oblivious, separated from direct experiences with mystical, esoterical, supernatural phenomena ~ luminous hyperdimensional realities ~ higher planes of existence, and the Ultimate Truth. But with the advent of psychedelics and entheogens we discovered a new way to perceive and explore reality ~ a new way to transcend the barrier of mind, along with it's attendant pseudo-reality paradigm. Through the expedient of transpersonative spiritual technologies, subatomic channels are opened into the deep mystical waters of existence ~ into the ancient primordial divine consciousness of God... esoteric hyperintuitive revelations allow us to directly access, encounter, and interface with the universal superconscious hyperdimensional intercollective ~ the full-spectrum of existence ~ to interact and intercommune with hyper-evolved interdimensional supernatural extraterrestrial hyperintelligence from alternative spiritual hyperspace realities. Psychotropic plants and chemicals promote penetration, experimentation, and exploration ~ hyperdynamic spiritual experiences, elucidation, and antatomization of alternative transcendental mystical hyper-realities that exist within our own interiority, but have remained hidden, occluded, due to our limited vision, insight, and perception.